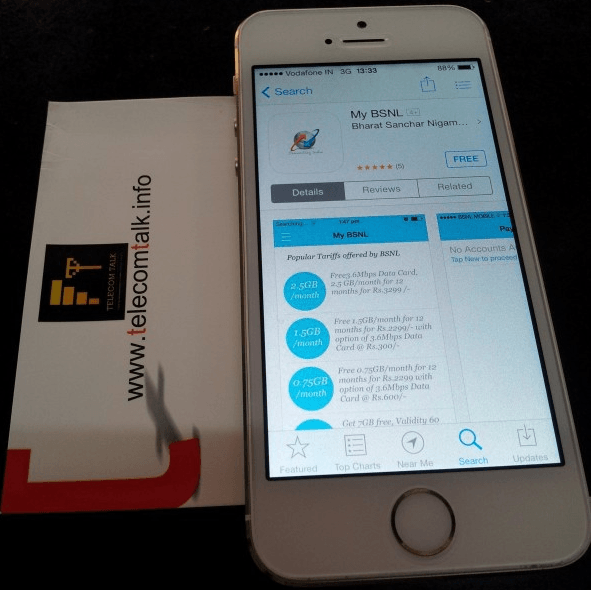 India’s National telecom backbone BSNL today announced the launch ‘My BSNL’ Mobile Application for Apple iOS users to let its subscribers to pay bills, recharge and manage their Mobile (GSM, 3G and CDMA), Land-line and Broadband services from their iOS devices – iPhone and iPad. In October last year, BSNL’s ‘My BSNL’ mobile app was launched for Android and Windows smartphone and tablets as exclusively we shared the news on TelecomTalk on October 2, 2013. Now the operator launched the same for devices runs on Apple iOS. According to BSNL, With increasing penetration of smart phones, this simple and smart App will enable customers to pay Postpaid bills and do Prepaid TopUp or load ant STVs or plan vouches from anywhere and anytime. The objective of this App is to enable the customers to pay Postpaid bills and to Recharge online through iPhone/iPad. This Mobile based access to the BSNL online payment gateway breaks the barriers and limitation of sticking on to a location with PC and gives flexibility to pay. BSNL considers this mobile application is important to reach customers proactively in facilitating bill payments in Landline/Wireless (GSM/CDMA/WiMAX –Postpaid /PrePaid) segments. BSNL’s goal with these mobile applications for all popular platform like Android, Windows and iOS is to provide Mobile users a visually appealing, user-friendly application which facilitates a hassle free payment mechanism. My BSNL App’ can be downloaded FREE from Apple App Store same as Google PlayStore/Windows Store and installed in your iPhone or iPad.